Saving money is like a chore to most. It is something that must be done, but it often is not very enjoyable. Saving money does not have to hurt. 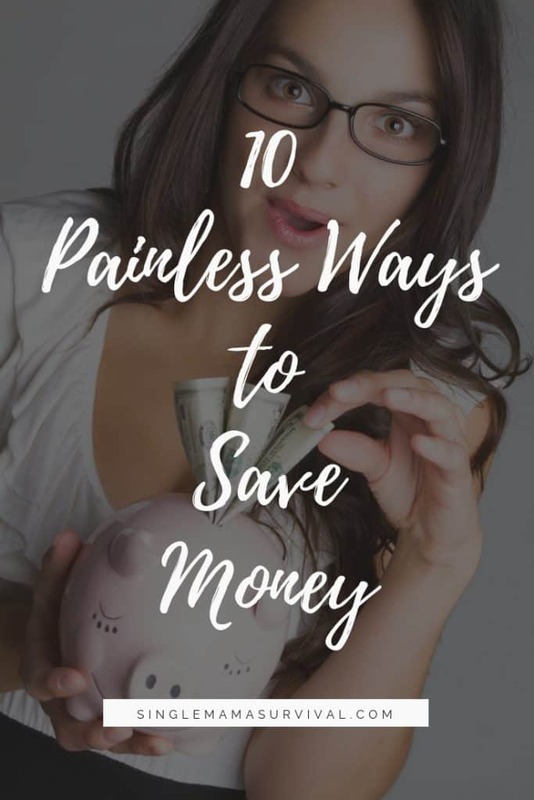 In fact, here are 10 painless ways to save money! Oddly enough, staying hydrated throughout the day can help you save money. Often times that feeling of hunger is really your body wanting water. Stay hydrated to stop from grazing on snacks throughout the day, and having to buy more later on. Buying in bulk allows you to spend less dollars per unit almost every time. Buy items in bulk and freeze for later, to save in the long run! Then simply pull portions of your items out when you need them. Having your credit card information and address stored online makes it far too easy to make purchases from your favorite website. Delete your personal information from all sites, causing you to think twice about purchasing, when you have to retype all of your info. Window shopping is fun until you come across that one item that you think you need. Prevent unneeded purchases by closing out the webpage, or avoiding stores and aisles you don’t need to be in. There are plenty of money saving apps out there that make clipping coupons even easier. Next time you sit down and feel the urge to browse YouTube, download a free money saving app and peruse the digital coupons instead. Holiday time is costly enough already. Instead of having to buy gifts for multiple people have a gift exchange where everyone draws only one name. Just be sure to set a reasonable spending limit. There is a reason they are called impulse purchases. Next time you come across something you think you want, wait a few days to a week. If after that time is up you still think it is meant to be, go for it, but chances are you will have forgotten about it, or don’t want to go back out for it. Whether you enjoy books, movies, or surfing the web, the library should be your new go to! Books, movies and their WiFi will not cost you a thing, so long as you return your items in time. If you are not a fan of leftovers, make only enough food that you think you will eat. Or freeze portions of your meal after it’s been prepared, but before you cook it! If you and your friends are meeting for lunch at the same place, so why not save on fuel and carpool together? How do you plan on saving money? Will any of these painless ways to save money help you?